According to Barton history, some Ann Arbor businessmen and a handful of University professors met at the Catalpa Inn to make plans for a new country club to be located on 125 acres of land donated by Alex Dow, president of the Detroit Edison company. 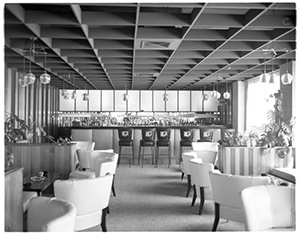 This was the birth of the country club later to be known as The Barton Hills Country Club of Ann Arbor. According to the front page of the March 13, 1917 edition of the Ann Arbor Daily Times News, "...the Ann Arbor Country Club is expected to compare favorably with country clubs in cities of twice Ann Arbor's size...The Club, however will not be intended purely for lovers of golf, but is to be a real country club and a convenient place for dinners and parties....It is expected that special attention will be paid to the serving of meals, as it is realized that much of the success of the average country club is due to the manner in which the cuisine is managed." As we look forward to celebrating our Centennial anniversary, Barton Hills is proud to uphold the tradition of serving its members and their guests. 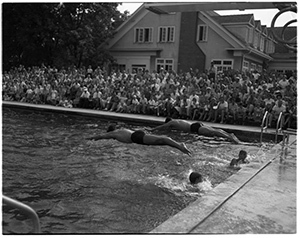 Through various buildings, lean years, war years, and 'boom' years, the Club has been at the forefront of social and athletic activities in the Ann Arbor area. Most recently we hosted the 98th Women's United States Amateur, and the 22nd U.S. Women's Mid-Amateur Championship. Our signature Donald Ross golf course celebrated its 90th anniversary in 2012. Notable celebrities who have enjoyed its fairways (and roughs) include "Babe" Didrikson, Arnold Palmer, Gary Player, Gene Littler, and others. Our 'old Clubhouse' for many years hosted the University of Michigan Football team on the Friday nights before home games. The team would review movies of their opponents, stroll the grounds, eat and bed down early. As Ann Arbor has changed over the past 90 years, from a small town location for a great state university, serviced by shop-keeping entrepreneurs, to a sophisticated community of professionals and corporate executives, so too has the makeup of the membership of Barton Hills Country Club. Nevertheless, a family tradition has been maintained to this day, as exhibited by the number of second and third generation families among present and recent past members. The participation level of our youth members and the many new members that have joined the Barton family in Club activities such as swimming, tennis and junior golf suggests that the family tradition is being perpetuated. Barton remains a 'Family Club' catering specifically to the needs of its members.